Before—The HVAC system used to pull air from between the floor boards in the attic. Under the wooden floor it was packed with blown in fiberglass. 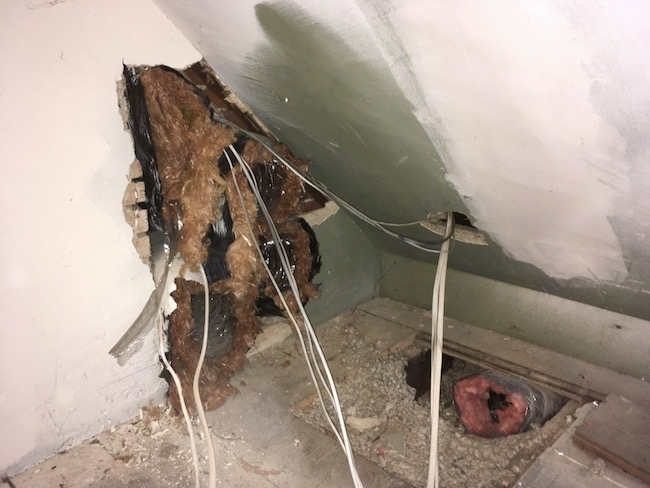 The contractor had simply pushed the blown in fiberglass to the sides and let the unit pull it's air from the same floor joist. 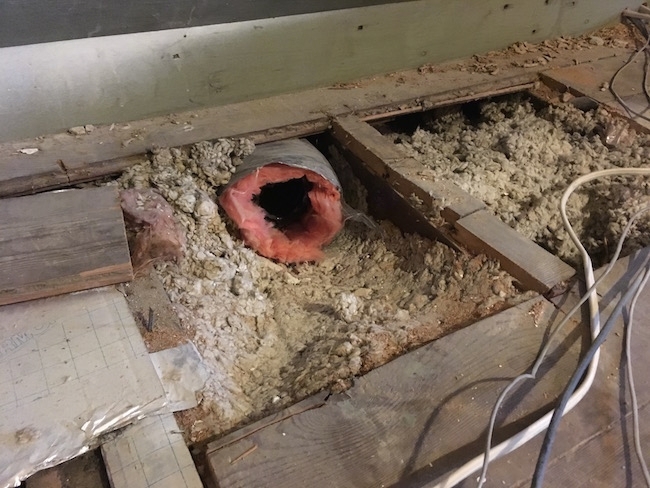 After—We removed the blown in fiberglass from under the attic floor and made the return pull from a clean metal duct that goes to the second floor ceiling. The heater and central air now pulls its air from the ceiling in the second floor hallway. After—The new system pulls directly from a vent in the second floor hallway ceiling. 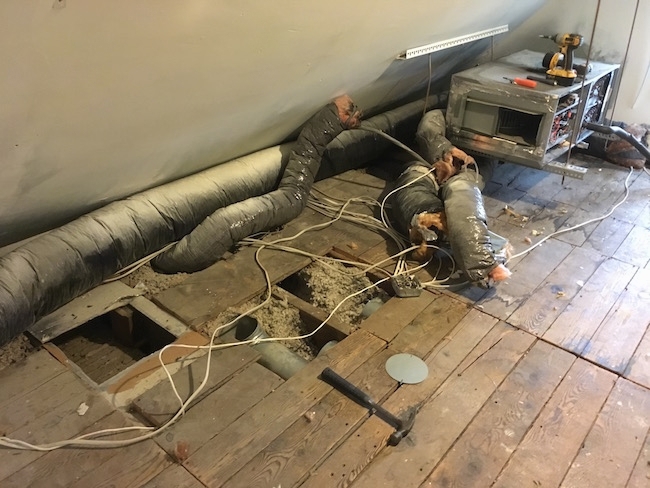 It is a common practice for contractors to pull the air the heater and AC units use from behind the walls or under the floors. These areas are places the home owner is not able to clean and are often full of fiberglass and dust. 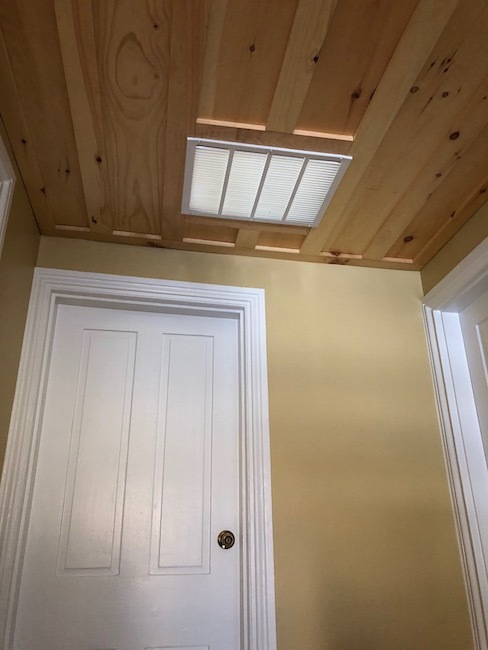 Pulling the heater and AC air directly from the ceiling is a much cleaner choice. Did you ever wonder where the dust in your home comes from? 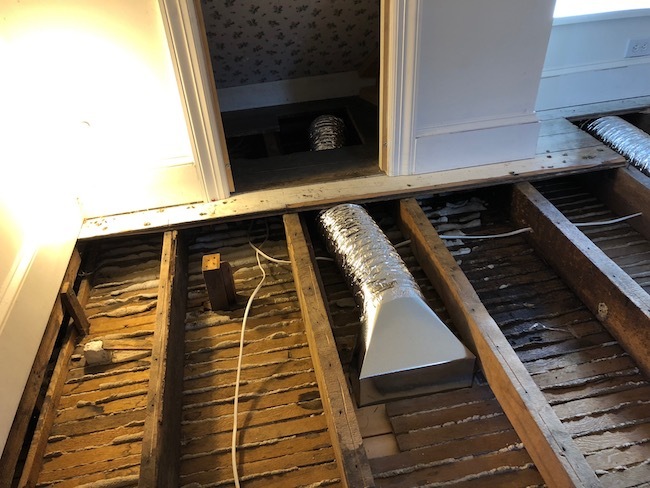 Before—This shows some floor boards removed from the attic floor exposing the gray blown in fiberglass with the flex ducts. 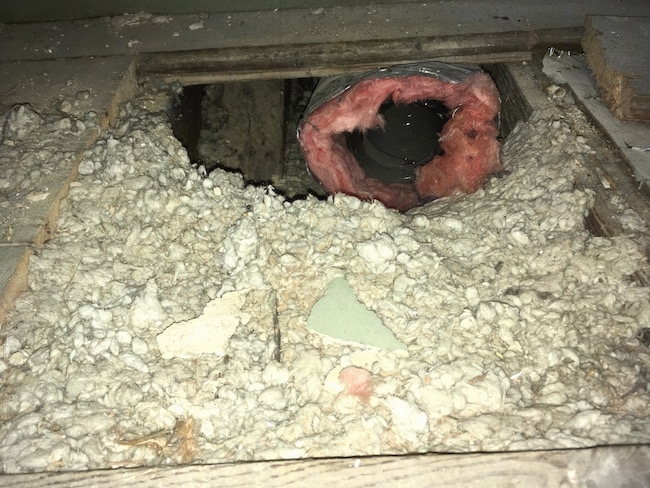 After—The blown in fiberglass removed from the floors with clean ductwork replacing the fiberglass wrapped flex ducts. A new wooden floor will go back over the floor joists. Before—Fiberglass flex ducts behind the walls and under the floor with the blown in fiberglass under the wooden floors. 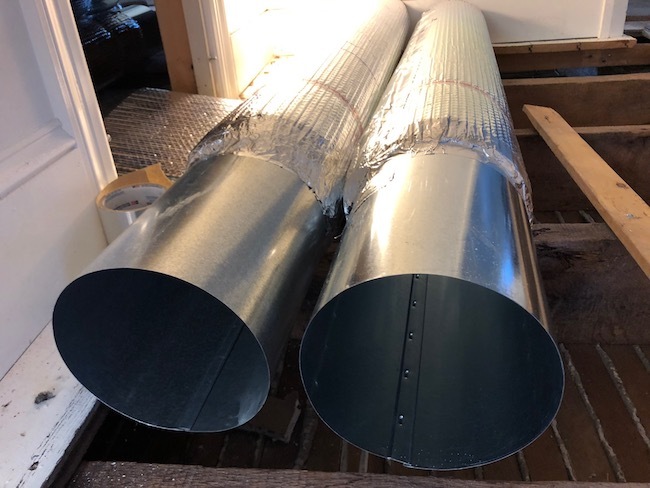 These flex ducts were installed in 2001. After—Some of the new clean metal ducts wrapped in bubble wrap that replaced the old dirty ducts. 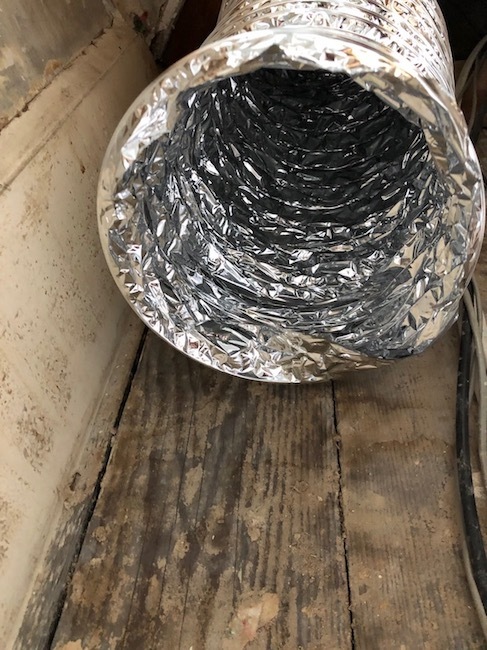 Before—This is the attic floor with the gray blown in loose fiberglass packed into the floor and a flex duct running under it. After—It was replaced with a clean foil duct. The loose blown in gray fiberglass was removed.